Looking for a way to mitigate the solar heat gain of your home or maintain the integrity of your glass against damage? 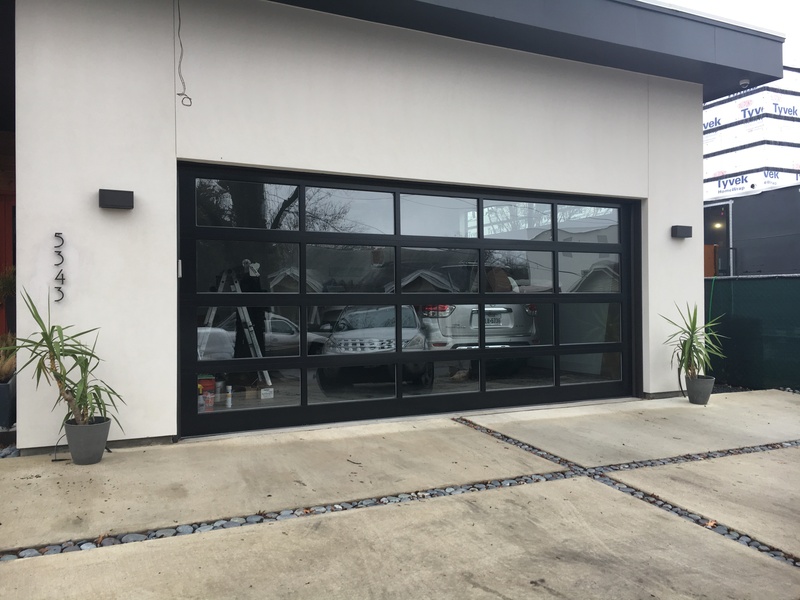 Consider residential window film in the DFW Metroplex! 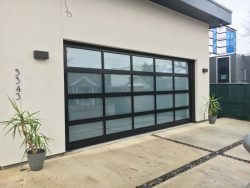 AmeriTint Window Specialists, Inc. provides customers with access to a full scope of window films, to help maintain and elevate the appeal and comfort of your home. 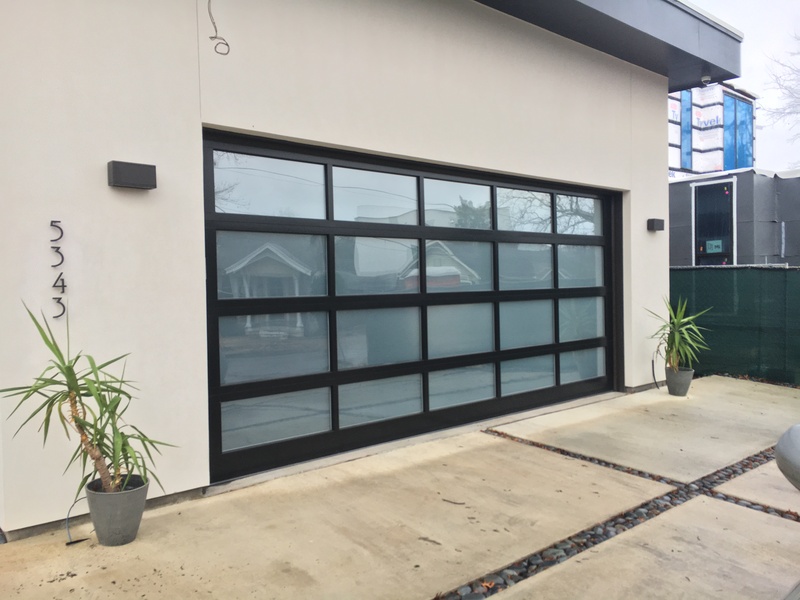 In addition to the residential film, we’re also a premier provider of window film for commercial buildings as well.” From tinted, UV deflective films, to decorative window film, we provide your business with the protection and style it demands. Our home is the largest investment that most of us make in our lifetime. Yet most of us forget that the beautiful windows in our homes are robbing us blind with excessive utility bills! In the winter months, our windows allow up to 50% of the heat to escape our homes. This wasted heat ends up costing hundreds, if not thousands, of dollars in wasted utility bills. In the summer, most owners typically waste hundreds or thousands more to cool our homes as the sun blisters thru those same windows. Residential window tinting puts an end to wasted energy and money! 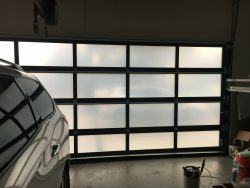 You can choose from CLEAR Spectrally Selective Films, High-Performance Dual Reflective Films, Non-Reflective Ceramic Films, and Interior Designer inspired Decorative and Privacy Films. We represent window film products from every major manufacturer, which means we have products for every home and every budget! Call us today to schedule your consultation with our knowledgeable staff! The sweltering summer sun can cause damage to you and your home. During the summer months, ordinary glass lets the sun’s heat penetrate your home, forcing your air conditioner to work harder to keep you cool. During the winter months, a substantial amount of your home’s heat is lost through ordinary glass windows. Solar control window film applied to the interior of your windows can reject up to 80% of the sun’s heat. In summer your home is cooler and more comfortable, so you can save on energy bills. In winter, some window films trap room heat for year-round comfort. One of our customers had an issue with fading, now they have window film and their new curtains are protected from this type of damage. Window tints can block up to 99% of the ultraviolet rays from the sun, greatly reducing the effect of fading on your carpets, rugs, fabrics, and artwork. Window tints also reduce the amount of glare seen through your windows, giving your home a more pleasant view. Your investment in properly installed window films will return dividends in the form of reduced air conditioning and heating costs, and protection against costly fading. Window tints can give a building a more upscale, contemporary appearance. They also provide a uniform look without the clutter of drapes and blinds. Window tinting makes a building more attractive to potential tenants and allows for more usable space in the building. 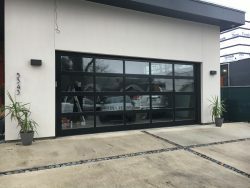 Window films are available with a scratch resistant coating and in a variety of elegant tints like bronze and gray, and in neutral tones that appear virtually invisible on your windows. 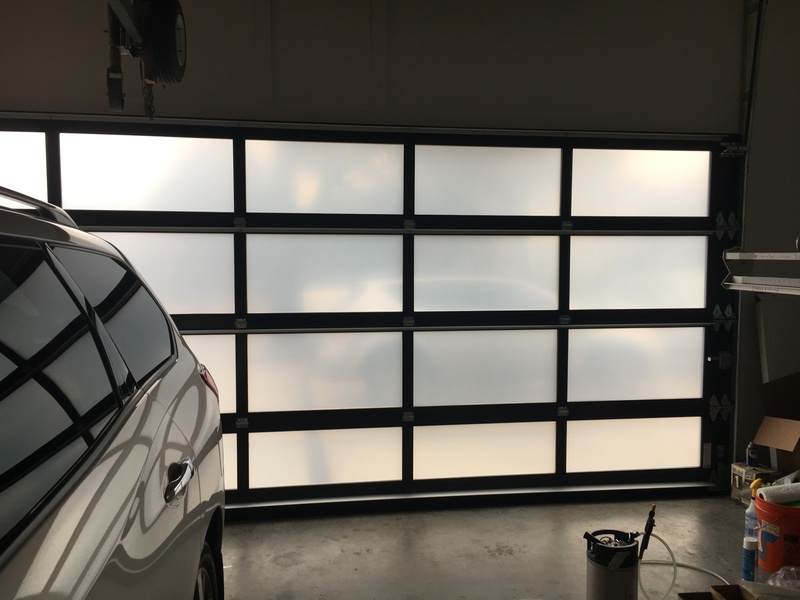 Window film is an effective and cost -conscious option to provide some privacy while maintaining the contemporary look and allowing light into the garage.This decorative film maintains the clean contemporary design, blocks heat, maintains privacy, allows light into space. Let our team of professionals provide your home or business with the best in windows. You won’t regret it.